Florida’s smokeable medical marijuana flower, pot and bud are now being allowed for legal purchase at dispensaries in the Sunshine State. Having access to marijuana flower for smoking has been hotly debated as the will of the people was very strong in voting numbers for legalizing medical marijuana in Florida. Their intention was for cannabis to legally be available for those that have a legitimate reason for its use. 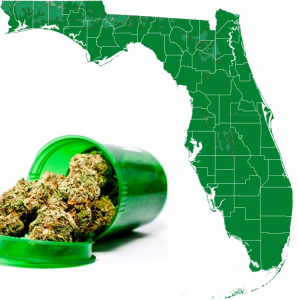 The people of Florida started the legalized marijuana movement, and The Medical Marijuana Legalization Initiative (Amendment 2) was passed in 2016 with rules outlined in Senate Bill 8A. The smoking prohibition forced by Florida leaders was violating the voter intent. Without the initial help of a powerful lawyer John Morgan, the smoking of marijuana flowers may still be barred today. Many must give thanks to John who first fought by filing lawsuit against the State of Florida for the peoples best interests. With todays first Smokeable Sunday in Florida, many give thanks to everyone across the State who have been supportive for the rightful use of smoking medical marijuana. The most useful plant species on earth, cannabis aka marijuana is slowly becoming available to the world again and in the formats they need it most for the ultimate health benefits. One of the last straws being drawn was by Governor Ron DeSantis on January 17th when he hosted a press conference in Winter Park, FL. DeSantis asked legislators to change the law to allow smoking medical marijuana. If it doesn’t by mid-March, he claimed to drop the State’s appeal of the earlier court decision that says banning it violates a constitutional amendment. So just this past week on March 18th, Governor Ron Desantis signed legislation for Florida to make smokeable flower, bud and pot legal per SB 182. 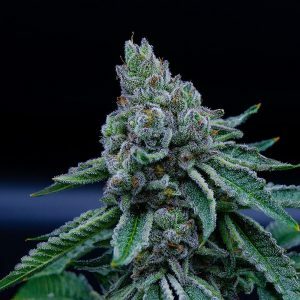 The law enables a qualified physician to evaluate a patient and be able to recommend or summon smokeable flower for a patient if it is an appropriate route of administration of medical marijuana for the person. Though there are some rules and regulations as with everything. All Florida licensed Patients can now access and possess the bud and flower with a limitation of 2.5 ounces per every 35 days. It was made clear that smoking cannabis marijuana would not be freely allowed in public. The offices of Medical Marijuana has approved guidelines for Physicians and MMTC’s (Medical Marijuana Treatment Centers). A Pediatric Physician working as a second physician for recommendation will be required to approve cannabis use for a Patient under the age of 18 who is terminally ill.
On this Smokeable Flower Sunday, as you light up for the first legal time in Florida, reflect and give thanks. This is a major step in the right direction. The true reality is the cannabis plant by itself, not manipulated to concentrate, this un-adulterated flower form is the truest form with precise levels of cannabinoids and terpenes as mother nature intended. (1) Contact your Physician to consult and verify your qualification for smokeable marijuana cannabis products. (3) Initial and sign the form and provide the documentation to your Physician. Your Doctor will prepare documentation regarding your cannabis use and routes of administration and effectiveness and concur with you that a smokeable form of cannabis will provide improved benefit. (4) Your Doctor files with the registry and has updated notation for your eligibility for a inhalation route for smokeable flower.